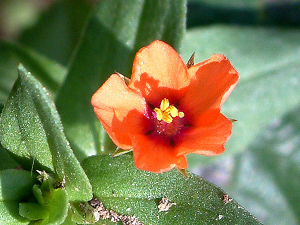 Observation - Scarlet Pimpernel - UK and Ireland. Description: A small number of plants growing on what appeared to be a fire damaged area with other 'weeds'. A small number of plants growing on what appeared to be a fire damaged area with other 'weeds'.